LinkedIn Learning (formerly Lynda.com) teachers are effective, passionate educators, who are also respected authorities in software, creative, and business fields. They're here to share their expertise in dozens of topics with you, with courses organized into these eight subject areas. "LinkedIn Learning is the best online computer program. " I really liked LinkedIn Learning because it is an excellent online program that offers courses and free payments with people from all over the world studied and prepared in what they do, where they impart a lot of knowledge and one as a human being receives a good learning and the personal and work preparation improving in what we do. my opinion LinkedIn Learning has few limitations is essential to have Internet and a good sign to use it to avoid being affected by interruptions, a large amount of Internet is consumed during the time the course is taught and most of them are payments. I recommend LinkedIn Learning for being an excellent computer tool that helps a lot in the personal to improve and train with its variety of courses on the internet with people all around the world trained and prepared in the subject that they deal with in the online course. LinkedIn Learning helped me a lot in my field of work thanks to the online courses I have done with well-prepared and recognized people from all over the world that provide me with good knowledge and information, improving professional and personal learning. "The LinkedIn Learning program is the best online. " .LinkedIn Learning I liked it because it is a good online computer program that through it, I have done different distance courses with learning and preparation on a personal level and I work for its variety of free and paid courses, with people studied in their field. trained in the subject they are dealing with, provides a good knowledge that helps to improve the quality of life of each person or audience that will be projected as a goal of improvement. LinkedIn Learning in my opinion has some inefficiency because to use it you must have internet, a good internet signal to not be interrupted, a good data plan since it is consumed a lot during the hours that we are receiving the online course, there are many free course promotions but the best ones are mostly payments. LinkedIn Learning I recommend it because it is an excellent computer tool both in terms of work and personal, because thanks to distance learning courses, we obtain knowledge and preparation with personnel studied and trained with worldwide recognition. LinkedIn Learning has been a very essential computer tool in my work because, as a human being, it helped me to know more about my field of work, to prepare myself and to train me in different courses that nourish me with professional knowledge, putting them in practice at work and the personal in front of clients, colleagues and friends. What Online Course Providers solution do you use? "Excellent!!! these courses are great, dictated by professionals." is very good application, I am grateful with linkedin because it has helped me to keep myself in constant learning, I can do the course you want online, without leaving my home, I as a teacher need to be updated in many areas, and linkedin have a course for every need. I use it some time ago and I have nothing bad to say, give a few months for free to decide if you pay to learn with linkedin, this experience has been very good for me, because I believe that they are dictated by highly qualified people and experts in The matter. If what you are looking for is to keep updated, this is the correct application, it helps you with everything you need. I am a teacher in special education and the inkedin learning has helped me a lot, since it has very interesting courses, about the intellectual and personal development of each person, every day I seek to obtain new learning and with this application I have achieved it, I would not stop using it for a while, because there are really much useful courses here, that in my community I would not get them. "Excellent online computer program. " LinkedIn Learning I liked very much for being an excellent online computer program that through it, and had a learning of preparation and better development both personally and work for its variety of courses, both free and paid, with trained people, trained in the theme they develop, providing their knowledge that nurture to improve and project in strengthening the goal of overcoming improving the quality of life of each individual or public. LinkedIn Learning from my point of view has certain limitations, you must necessarily have internet, a good signal so that it is not interrupted, a good data plan since there are courses that consume hours when they develop their subject and there are promotions of many free courses but the best ones are mostly payments. LinkedIn Learning I recommend it for being a good work tool that helps as a human being to have knowledge and preparation with trained and recognized personnel worldwide. LinkedIn Learning has been a fundamental tool in my work and as a human being it helped me prepare, train, train in different knowledge courses that I put into practice in front of my colleagues, friends and my work environment. "That's great!! Here I find the best courses"
Amazing everything you can get with this application, the courses are great no matter what your profession, you will surely find one that suits you. "I love this application! " I like to keep updated, this application helps me to make the best courses, without leaving home, what I like most is that there is a wide variety from computer, to personal growth, how to organize time and tasks, really great courses help. I use it and I have not found anything that I dislike, really the courses are very good, I would only like that there were more variety of courses in Spanish and that they could offer a certificate endorsed by some educational entity, that was taken advantage of in my curriculum. It really is very good, surely you will find the best courses that will help you a lot, regardless of your profession, as they have done with me. This application has helped me a lot because the courses are excellent for me, I have taken courses to master more computer programs, as well as to be able to organize my daily tasks and have a better command of time, thus fulfilling all my trades. and in an excellent way, I am very happy with this tool that has offered me to have an account in linkedin. "with learning, perfect my technique. " I like it because I can take courses to update myself, perfect my design techniques, see what is in trend from the comfort of my home and at a low cost.I also like that the courses do not have schedules, nor expiration dates so I can see them as many times as I need it and every time I have time to do it, without being preordained by a schedule. It is a bit expensive in relation to the Bolivarian-dollar exchange rate, and the salary that Venezuelans have, but it is affordable for other countries where the country of Venezuela is not suffered. I strongly recommend linkedin learning to all my colleagues and friends because it is an excellent platform for professional updating and it is always worth investing in our professional growth. The benefits of linkedin learning for me have been the update that I have had as a professional in the field of design, since this platform offers many videos of courses related to my field of work ranging from beginner to the most sophisticated design and that It has helped to grow and evolve in my career. "linkedin learning has been a very good tool to update my studies." With this application I have done very well, thanks to having my account on LinkedIn I have managed to have this application that allows me to take courses online, what I like most is that there is a good variety of courses available, which I can do from the comfort of my home, has helped me to keep up to date with the best knowledge, are dictated by trained and qualified people. It has been useful for me as a teacher, and I am sure that for any user it will be very useful. this application has given me many benefits, I as a teacher must be innovating every day, and looking for the best tools to serve my students and develop in them the best tools. with linkedin learnig I have done courses related to the area of ​​informatics, and this way I have managed better in this area, which has helped me to incorporate it into the educational process of my students. "thanks to linkedin learning I am getting excellent learnings." I have been using the application for three weeks and I have not had any problems, but at first it was difficult for me to get a course in Spanish since some are limited to English, I would like to see more options available in my language in the future. linkedin is an excellent application that is very aware of its users, and give the possibility to have this application (linkedin learning) conidero which is one of the best, that no user of linkedin should disapprove, because I'm sure your courses will help very much as they have done with me. I have had many benefits, since from the comfort of my home I can get all kinds of online courses, courses are available for the improvement of very good office techniques, which have helped me to have a better management in all programs and so I can include them in the planning of my classes, helping me to gain the attention of my students, as well as a course on personal growth, which undoubtedly helped me to believe and trust more in my potential as a teacher, and know that I am an instrument to change societies. "linkedin learning has everything I need." I am very happy with this application, thanks to having my account in linkeding they gave me the opportunity to use this incredible application for a month for free, at the beginning it was a surprise the invitation I received for a message, I decided to test it and now I think it is the best application that exists, I have managed to do two free courses with the best instructors, every week I can do one and already I think to start the third. When I find an application that helps me as much as learning it is difficult to talk about something I do not like, the only thing that has been complicated for me is finding courses in Spanish. I would like to have more options in my idiona, and that the courses give recognitions or certificates endorsed by some educational entity so that they have weight in my curriculum. I have had many benefits from personal to work, I have done courses of personal motivation and techniques to grow my business or to embark on new paths, trusting my potential, no doubt learning has changed my paradigna, the way I saw my rialidad and my working world. "It has helped me to carry out all kinds of courses." I have achieved a lot with just having an account in linkedin, learning is one of those advantages of my account in linkedin, what I like most is that there is a variety of students that adapt to every need, also I do from home it is a big advantage. In spite of being very good, what I consider to be negative is that the certificates are not endorsed by a validated entity for a curriculum, besides most of the interesting courses are not available in all the languages, and a good data plan to use the application since everything is for videos. I really liked the application because the courses have helped me a lot in my personal and professional life, I have taken courses to improve my skills with computer science, and to improve interpersonal communication. "linkedin learning is the best option for courses." learning has given me many advantages that have been very satisfactory for me, the courses are adapted to the current reality, there is a course for every need, sure your language is available, you do it from the comfort of your home, and accounts with a month free, really the staff that dictates them are very capable. so far I could not say that with this application there is something that I do not like, I am very satisfied with everything I have learned with these courses, I could not say anything negative. has a free month, are excellent courses and the opportunity that gives us, I would like to have more options in Spanish. learning has helped me to be updated with the latest technology, has helped me to take courses related to administration, which have helped me a lot to develop my work more effectively. I as a manager must be contactemente updating and that way better than with this tool so good. "It has allowed me to be updated with the latest trends." It is an excellent online training platform, it has allowed me to develop skills and grow professionally, giving me a new perspective in many ways and develop new strategies to grow my business, thanks to my account in linkedin I had the opportunity to make several courses in linkedin learning that helped me develop my skills. It is an application that offers free courses, with professionals and is available in many languages ​​therefore I can not mention anything negative. it's a good way to be updated with the best in training, they have a lot of variety of courses. With this application I have had many benefits on a personal and professional level, personal motivation courses are excellent, it has helped me to see life in a different way, take advantage of every adversity and know that everything is possible, all these techniques I have implemented in my Beauty Salon and I've really had better results with my employees and clientele. Linkedin learning is a really useful application and that's why I love it, I use it to perfect my makeup techniques and I like it, all the videos I've seen have helped me to improve my techniques and update them, keeping me within the current trends. From my point of view the biggest disadvantage of this application is the cost, because although it is affordable, it is very expensive in bolivars. I recommend this application, because it looks for the professionals to keep us updated each one in our labor branch, for what it offers more than 100,000 courses dictated by professionals that will allow you to take your work to another level. Linkedin Learning I benefit because it allows me to be updated, which makes my clientele increase, because everyone likes to be fashionable and with the latest trends in makeup and this I have achieved thanks to the tutorials that this software has offered me ; through very complete videos, with updated information and dictated by professionals, experts in the area of fashion, makeup and professional styling. "Deep and constant learning. " I like LinkedIn Learning because it allows me to do online courses with professional tutors easily and comfortably (from my home), just by using a computer, which helps me learn about the new trends in nail fashion and update my technique of work. I think the subscription is a bit expensive, because I live in Venezuela and here the dollar has a high cost with respect to the bolivar, however it is worth the investment because it is excellent and helps a lot to improve my manicure techniques. This software is excellent to improve or perfect any learning environment you want, because it has many courses and tutorials dictated by real professionals, so I recommend it. LinkedIn learning benefits me by showing me the new techniques and designs that are currently being implemented which makes me update professionally and can provide a better service to my clients and thus attract more people in search of my service for innovation in the Manicure techniques learned and perfected thanks to these tutorials. The range of courses exceeds 5,000 specific courses in different subjects, and in different languages. Among them we can find: courses to complement your business training in areas such as marketing or digital skills, courses to encourage your creativity, or to increase your technological skills. This gives us an opportunity to enhance our professional skills and job opportunities. In addition, the courses are taught by experts with a long career in the training of different subjects. The platform is well structured so the user finds and accesses the courses that interest him in the simplest way possible. You will be able to save the courses that interest you in your library, and the courses you are doing at the moment and the ones you have done previously. Another advantage is that you are allowed to download the files of the course you are doing, in order to facilitate offline study. There are few courses in Spanish. There are some topics that are not very complete. There are also no courses about the main vendors certifications. Test it. It's free. You have nothing to lose. Study a course and get your own conclusions. Would you like to improve your training with specific courses? Then LinkedIn Learning is what you were looking for. LinkedIn Learning is a platform focused on online training. It is aimed for users of the LinkedIn social network, who wish to reinforce and complement their skills and professional training. "Great opportunities, wish there were more..."
I really like the short nature of the videos and learning tools. It's easy to use and do with some down time at work. It also is pretty comprehensive, the videos I've dealt with are very well planned out and easy to follow. They seem to have had some effort put into them and the production quality is nice as well. They don't seem like low budget youtube videos, more like professional videos that a college might put out for their actual online classes. I dislike that there isn't necessarily associated reading material. I also dislike that there aren't a lot of free options with a free account. It's a little difficult to convince an employer to get this for you when there are many other free options out there with similar production quality. This product is really good, just know that there are equally good free options out there if you just take a second to look. I have been learning about some management skills and how to improve my own work ethics. I have gained some insight in how other people understand the work place and how to navigate it myself. I have also learned and benefited from learning about risk and when to take risk. It was inspiring to know that I have a decent amount of control over my career and to know where and when to go with it. My experience was very practical. "So far the best learning tool I've found!" Lynda.com has a database of carefully selected courses that almost includes every skill I want to learn. The courses always assume that I know nothing about my inquired field, and it provides practice files, detailed lecture sections that start from the ground up, and accompanied training. Sometimes, Lynda's courses start with stuff that's too basic. For example, how to open a file, how to upload a photo, etc. I try to scroll through those parts, but sometimes I miss sections of useful information because of that. But listening to a 10-minute talk about, what's to me, common sense could be kind of annoying. Check this self-learning tool out. Helps if you want to pick up another skill besides your day-to-day job, learn software skills for yourself or improve your current job efficiency and capability. It even gives out certificates you can link to your LinkedIn profile. Self-learning tool. Learned the basic SEO. "Genuine, dynamic, full of surprises like this is Linkedin Learning"
The advantages of belonging to the club Linkedin Learning are many, of course we have to admit that it is not a service for anything economic, but it is totally worth it, we have plans from $ 30 to even $ 120 per month, it is not less true that obtain certificates issued by this company would make it easier for us to find job offers that are very well paid, much faster, by having the validation of the social network itself in terms of the knowledge of its members. The high costs involved in belonging to this teaching program can not be faced by the vast majority of those who start a working life with little money, if it is true that they have many courses of high value for various projects in specific examples those based on Wordpress, which requires certain knowledge of programming oriented to the CMS (Content Management System) very specific. In addition, it is important to mention that the certificates issued are quite difficult to process. Use the platform to save time of transfers of employees and to maximize the time of the employee in the workplace, give at least the employee 2 hours a day so you can complete your study cycle properly. Train a large number of employees is much easier with Linkedin if you do not have the funds to sponsor days of classroom courses, the cheapest option is courses via videos or video calls via the Internet, employees can have at least 2 hours of daily study and continue in the workplace to continue with the workday. "I have never learned so much so fast!" The videos are succinct, and filled with valuable information. The people teaching the courses are thought out and descriptive, making each topic easy to understand. I think there are two favorite things about this for me. 1. You get a certificate of completion at the end of each course, which goes on your LinkedIn profile, giving credit to what you have studied. 2. You can take the videos on the go with you and learn anywhere on their LinkedIn Learning app. That you cannot access content/exercise files directly from the mobile app. I have discovered how much I still have to learn about my industry. I am a self taught graphic designer, and of course with that comes loopholes and things that you've overlooked. Even though I have been in the business for over 10 years, going through these basic courses have opened my eyes to new things and have already, in the short 2 months I have been a subscriber, allowed me to expand what I can offer my clients. People are always willing to help, giving adrices, posting jobs from companies they know or from people that have shared with them. I like the possition that allows you to apply directly without taking you out of the platform. also i like the fact that you can apply to multiple positions in diff countries. you cant download interesting videos in order to share, also, i dont like that i cant go to a profile to examine being like blind, people knows you have seen theirs profile, it will be better if the apps ask, would you like the person to know that you were looking at their profile. I would like that all the jobs posted are likedin friendly to apply, not that you have to sing in in another platform, and start from scratch your resume. that must be fixed. i cant since im not a user at this time, but since its likedIn it for sure will be easy to use, i will try right now to use the learning in order to see how easy it will be to use. Obviously I'm a huge Lynda fan. Your options for creative and analytical learning are endless. One of my favorite things about Lynda is that as technology changes and updates, so do the Lynda courses! I am a heavy Adobe Creative Cloud user and with every software update, Lynda updates the courses with clearly labeled "new" segments. All you have to do is click on the "new" sections and you will learn exactly what you need to be caught up. In addition, they will update the entire course as a whole every couple years. I also love that you can download project files for those of us who need to physically DO what is being taught. This is little but I love how there's a little check mark icon next to the videos that you have completed. There's something about seeing your progress that feels very satisfying. Let's be honest, you mostly likely share your account with someone. If you happen to be in the same course but at different segments, you have to bounce back and forth. My dream is that they would add a feature like Netflix and Hulu have and let account holders set up users. DO IT! Lynda is the best resource you can get! Any questions that pop up can be answered with Lynda. It's one thing to have a quick fix to any creative needs but it's another thing to actually learn the how and why of what you're trying to accomplish. "Easily Accessible e-learning resources on LinkedIn"
It's simple to search for specific topics/themes and depending on its high demand of knowledge, there are multiple options of resources to browse. For instance, I've used this platform for searching resources related to project management (i.e. excel and data collection, creating plans, etc.) and there were many articles and videos to watch. On the contrary, if the topic/theme one is searching for is very specific, there are limited resources to review. This platform is a good source to learn the basics on whatever professional topic/theme of interest. However, I would still recommend using other platforms that are geared to providing professional resources in specific areas. This will help enrich knowledge and have a more full understanding. More specifically the resources I use on LinkedIn Learning are related to my field of work - project management. "An extensive collection of courses from various domains from the industry experts." Lynda has become my goto online learning source for the last two years. I extensively use Lynda. There are two key facts that make Lynda Unique. First, you can expect to find almost any course. Be it on photography, graphic design, or data analytics. You will find the course of your interest. Second, the duration of the course. Usually, MOOCs take quite a long time to complete (25 to 35 hours). But, courses on Lynda can be completed within ~10 hours. This is because for a given topic, e.g. photography., there will be multiple courses that discuss the topic at different levels of comprehensiveness. On a given topic, there are courses for a beginner to an expert. The desktop app isn't stable enough. Sometimes I had difficulty in logging into the application. This might be because Lynda allows multiple ways to enter one's credentials. Other than that the app is great and no serious concerns. I personally feel Lynda is worth the investment because of the reasons I have already discussed. An extensive number of courses that are taught by the industry experts is what makes Lynda unique. The desktop application is a big plus for Lynda. You can download the courses for offline viewing, hence you need not rely on an internet connection. I didn't find these features with other MOOCs. I use Lynda mostly for learning and acquiring new skills. For example, Lynda has a great set of courses on photography. Anyone who aspires to be a photographer could learn significantly from these courses. Also, the contribution of Lynda is extensive in someone developing a new skill set. For example, since data analytics is the area in demand these days, you could find a number of courses on data analytics that use different programming languages like Python, R, etc. "Great for Training and Professional Development"
There is not much to dislike about Lynda. It's very easy to navigate and there are many filters that can help finding the course/video that is right for you. The only downside maybe is that you can only access what is in their library and not add training videos to courses if you found any from other resources. Great tool for professional and personal development. Our company offers Lynda for professional development and as a resource to learn new or improve skills. "Business courses are all great"
Presentation are the best I have ever seen (compare to coursera, edx and others). Easy and short enough to catch everything I need to do a specific task. The exercise files are very useful. It has learning paths and certificates to add on your LinkedIn profile. You have extra features on LinkedIn. Personally I am a slow and procrastinate learner, so when I enroll the class on Coursera or other Mooc platforms. often I ended up abandon the courses. Because these course are not as practical as I expected. Also they seems like took so much effort to finish a course. LinkedIn Learning breaks down the content into shorter video (usually 1 hour long videos per course, taking 3-4 hour for you to understand finish). I can easily manage my time on learning each week. I feel much relax and engaged into the learning process, not the feeling of pain from others. It also opens up so many possibility, you can learn almost anything and are not limited to one or two expertise area. the helpful links or the helpful resources that video instructors provided are not clickable, they are embedded into the video, so I have to stop the video to type again and again. If you are a student, I highly recommend you to learn as much as you can during your holidays. You will grow sooooo much from it. Hr, project management, content marketing, story writing. Wonderful courses, I can apply the knowledge and the skills right away. "A one stop shop for all kinds of training"
The sheer amount of topics and training that are available is mind-boggling. Several of the training I've seen are more thorough and expansive than similar uses I was taught in a college class. Many of the topics are useful for personal and professional work. The interface is simple and it's easy to keep track of your progress. Some topics have too many different trainings available that teach the same or overlapping information. I suppose it is helpful to have a few different means of sharing info because of learning styles and similar, but it can also make it frustrating to choose which training you want for a particular skill. This is an important tool for enterprise-wide training and growth. I would highly suggest using Lynda to improve the skills of your employees. Expanding my professional abilities, mostly in the areas of information management and document creation. Lynda has enabled me to learn things that would normally cost significant sums of money across various trainings and conferences. Good info in HD, top notch content. Some of the presentors have literally made me laugh out loud in a public library. I can have a badge for completed course on my LinkedIn profile. I wish they had a text only transcript so I can learn without headphones in public. I can't be having my training seminars blasting through my laptop speakers. Just dive in and use it to its full potential which is vast. Make the most out of your yearly subscription, and you will come out ahead every time. I understand that software of this quality is more than worth the asking price, but maybe a free version wouldn't be so bad? Honestly you don't owe anyone that and it's probably a bad business investment for you, but I guarantee offering all the features in all countries humanly possible would greatly advance globalization in terms of business and result in reduced incompetence and ignorance at the very least. That leadership takes hard work, and info about goal setting and follow through. I was identified as a leader even in elementary school, and it's beyond amazing to pick up where I left off with no ads. The best feature of lynda is the vast number of training available for so many marketing strategies. It works well on both my android phone as well as on my windows operating system. Lynda has well trained instructors who train in a well paced manner. Each training is further divided into subtopics which have individual quizzes as well, which ensure that we retained the content well. The user friendliness of this website is what makes me love it a lot. Lynda is not easily accessible to everyone, and it can be quite expensive if you are not directly affiliated with a university so that you can access it with you university's account. There is also no way you can give feedback about the training which can be good for both the instructors uploading the training materials and for other students who might want to access these training. You should definitely give it a go for training! I use it for marketing and tutoring training for my job as a peer tutor at TAMU. It is quite helpful for real life applications of tutoring and I get points for leveling up and getting paid extra for my job. LinkedIn Learning is a great program to improve and learn new insights. Their sales training is very informative and interactive. I have been able to use several topics and concepts when I'm talking with prospects and customers. I huge plus, the trainings are self paced, this is perfect for a busy sales professional. I believe the price is too high, I feel LinkedIn should lower their monthly price to $9.99 a month. The amount of trainings can be overwhelming, it can be difficult to find the right training for the individual. Linkedin is headed the right direction, working on pricing or be able to offer sales training as a stand alone product. LinkedIn Learning is very beneficial and valuable to a sales dept or organization. I have been able to new learn selling concepts and closing strategies. Being the learning is self-paced I will usually take trainings after work or during work depending on my schedule. The audio quality for the videos goes in and out when I'm listening while driving. It gets pretty poor quality often times. Make sure you have a strong desire to learn each topic or you won't stay with it. Given so much quantity of information available, I'd say that this platform provides more insight into different areas rather than deep knowledge, simply because in order to truly learn something you have to practice it long term and if you keep listening to more and more of these the less likely you are to actually practice each course long term. What I like best about this program are the bite size, versatile lessons. I can learn virtually anything. When our programs are looking to expand or we are researching new potential programs, Lynda.com is a great tool to get a quick primer on a subject that we might delve more deeply into. I dislike the most that I don't have much time to do the lessons provided. This isn't really the fault of Lynda.com, rather that my office doesn't easily allow for specific time to be set aside for training. To others who are looking to use Lynda.com, I would recommend that you ask your supervisor to allow you to set aside time specifically for this training. I feel like this might be normal for many offices/companies but in my personal situation, it is difficult to use the program when we are not allotted time specifically for this. "10 years ago Lynda taught me photoshop. Today she's teaching me machine learning. " Lynda.com has been around for a while and this maturity clearly shows in the well-rounded short courses that it offers. I especially like the option to download exercise files and use them during the course. Does not offer financial aid for students like coursera. Even though platforms like coursera and Khan Academy have become increasingly popular in the recent days, Lynda is still a great resource for learning new skills and the freedom to learn that Lynda offers is great. As an engineering student, I try my best not to lose sight of what's happening in the world around us and enhance my skill set to include skills that I would have otherwise not acquired in the classroom. I have used Lynda.com to learn photoshop, advanced excel formulas, playing the guitar and coding in python. "A site with a wide range of training options"
If you have a team that is very big and have a wide range of skills they need to improve, then this is the site for you. Lynda.com has a robust list of options for training. Is well organized and you can find pretty much anything. Personally, I have reviewed videos about design, photography, development, and even management. I like that keeps track of what you have watched. There is no a smart way to identify your skill level so you can be "assigned" to the right level. Many times I ended up skipping videos because it was too basic. I wish they had a way to test your level and then provide suggestions as to where you should start. It is a very efficient way to learn things in a system that keeps track of the progress. It also provides a robust set of options for different type of learners and includes practical examples to follow. "Great and Inexpensive Method For Upgrading In Business"
I love that with a free premium trial you gain access to the invaluable lessons taught on this site ranging from social media implementation to coding and professional speaking all from industry proven experts. The cost associated with a premium membership is still worth it when considering the use of these services. If you are running a lean business model and want to cut costs, LinkedIn is a great one stop shop for focusing efforts on learning new skillsets. I dislike that this arrangement is only available if you have access to premium. Otherwise, nothing else crosses the mind. Also there should be a direct follow up between the poster of the video and the users viewing the content. I consider that within whichever period you are granted access to this fine repository of information, use it to the full extent of the time you have available. Whichever area of business you are struggling in, purvey the resources provided on LinkedIn Learning. The .pdf's included are also great. I am solving interactivity on Pinterest through social media marketing courses without having to hire or contract a consultant in this field. This puts new employees ahead of the learning curve tremendously. I am also able to learn these lessons on the go which makes for less overhead and wasted time at work. "Fantastic Resource for a Variety of Topics"
Lynda provides top-notch educational courses on a variety of subjects. The interface is solid and the information is reliable! It can be expensive if you don't have an account through your place of business and/or you don't use it often. Fortunately, there are plenty of areas in which you can learn, so if you carve out the time you aren't likely to run out of material. Lynda is a great opportunity for business and/or individuals to expand their knowledge. We have used Lynda for a variety of subjects. The information is reliable and relevant. I was surprised at how current the courses are even for evolving digital platforms. Lynda won't replace networking at conferences and specialized individual training, but it is a VERY good foundation. Especially for companies who lack the budget to send employees to training. Being sent to conferences or specialized training can get very expensive. The budget at a non-profit is often not conducive to these kinds of opportunities. Fortunately through Lynda, we can educate ourselves on a variety of areas. Obviously real-world implementation is key, but this will provide a very solid foundation in which we can grow our experience. "Lynda Pro for Training Initiative"
Seats can be assigned on an as-needed basis to people who either request training in a defined area, or in an area that their manager has determined that they would like their staff to be trained. It's a lot simpler to onboard staff who have varying experience with software, especially the G Suite products from Google, by assigning them a course playlist that walks them through some of the things we do with calendar, e-mail, groups, documents, and Drive storage. The limited number of transfers is the main complaint. Once your account runs out of transfers, you will have to purchase more. I would rather have us just have the limitation of a number of simultaneous seats, and not be limited throughout the year by having to transfer users in and out until the transfers run out. Seats are fairly expensive, and the limitation of transfers when you have a small number of seats (we have 5) can be restrictive. We use Lynda to onboard new staff on our use of Google Suite and Office products, instead of having a hit or miss with training once a "how" ticket is submitted. The often time-consuming 'can you show me how to do this' or 'how do I do this' questions regarding software packages which we deploy can be answered thoroughly and without a vast investment of time with personal training sessions. We are both onboarding new staff and using it to give more extended training to users or managers who request it. "LinkedIn Learning: A Personalized Experience"
LinkedIn Learning is the next best thing to having a tutor for individual needs. It utilizes all of the components to a successful lesson such as goal setting, instructional assistance based upon the type of learner that you are, and a focus on mastery and life long learning. The Lynda.com library of learning videos is particularly impressive and covers a massive amount of tutorials and helpful content. I do not have any dislikes to be perfectly honest. LinedIn Learning is affordable for users, gives employees the opportunity to take initiative, and can connect directly to their LinkedIn profiles for more professional recognition. It doesn't get easier than that! If you are looking for ease of use without the university cost, this program is a must and can be tailored to meet any business needs. For starters, this platform has the ability to differentiate and reach everyone no matter what level they are. Depending on your company smart goals, each employee can further themselves and receive a quality professional development. Currently, we are utilizing the language program (specifically Spanish due to our Arizona base). "Lynda.com is the training site to go to!" Lynda.com is one of my favorite online learning sites. I love how professionally are the courses built and how deep each goes. I love that it is connected with LinkedIn now and you can post certificates directly to your profile. Hmmm... I'd have to think really hard to come up with something I don't like about Lynda.com. I have been using the site for couple of years and it keeps improving. Oh, there is actually one thing. I'm a learning professional so I know how should online courses be built. One area for improvement for Lynda.com would be switching from the talking-head videos to a design that supports learning. According to one of the multimedia principles, the image principle, people do not necessarily learn better when the teacher's image is on the screen. I see talking-head videos a lot on lynda.com. So this is one area that I dislike. Try to get a membership through your employer, your university or your local library. I'm definitely solving a problem that as a freelancer, I have to keep learning and honing my skills. Lynda.com helps me to achieve that and stay above the competition. I take many online courses and keep my skills fresh. "Tons of resources easily available"
LI Learning is amazing, it allows you the opportunity to learn and advance at your own pace, and learn skills that are relevant to you. It also helps advance where you want to be going. It is also nice to be able to access the training anywhere. No more being stuck in a boring, cold training room, training can be completed at the comfort of your own home! It can be difficult to chose through so many different topics, it would be also nice to be able to earn certifications through LI Learning. Training can be more industry specific or even culturally appropriate. Focus on locations as topics can vary from different places geographically and may not hold true for everyone. It would be nice to have options to work with others and assign groups so staff can still remotely complete assignments together, or even have remote group work with others taking the course at the same time like a virtual classroom setting. Take time to determine which programs you want to use and review the training before implementing to others. Some of the training was more entry level and it would have been beneficial for management to preview them prior to implementation, which is not an issue of linkedin. It is advantageous as everyone can take the same training regardless of where they are located and receive consistent messaging. This is important in our global company. There are so many different kinds of videos to help you boost your career and enhance your personal skills in the work place. Most of all, I love how you can earn certifications. There is a specific path that I have been pursuing so that I can be an AMA certified Digital Marketer, which is greatly helping me fine tune my career path and skill set. There are a few kinks, which make me think that LinkedIn Learning still has a few technical barriers to overcome. I am pursing the AMA certified Digital Marketer path and I have completed everything. However, two of the twenty courses has recently been updated so now I have to fully redo both of those courses, quizzes, and exams! So sadly, my original plan of using this certification to help me request for a promotion at the end of the month is no longer doable. Because I need to do two more courses (video content = 6+ hours), I won't be able to finish before I go on vacation next week and before I request for a promotion. Definitely use!! Just be careful of pusing a Path. When courses get updated, you have to redo them. So if you complete 20 courses and 1 gets updated, you have to do it again. I enjoy being a jack of all trades and a master of one. I am working to be a master in Marketing, which includes content marketing, digital marketing, product marketing, branding, etc. LinkedIn Learning offers courses for all of these areas and more. I can develop technical and creative skills to help me in the workplace. This allows me to be a strong asset at my company since there are so many problems to solve and obstacles to overcome. "Flexible and engaging but cheaper substitutes avalaible"
I like how flexible these programs are. They offer a variety of topics on your time frame. The experts have been a mixed bag, some are more helpful than others, but that is to be expected with any course. The free trial period enables a clear understanding of the platform prior to full commitment which allows more insights on the value added. There are a lot of similar products available and many for a more reasonable price (Or even free). Some organizations and industries may not have as many cheap or free resources available but explore all options before selecting a learning platform. Take full advantage of the free trial period. Explore all the uses and give other co-workers or employees an opportunity to explore the topics covered and even try some classes. The more time you spend on the platform during the trial will ensure you have a complete assessment of its value and how it could fit into your business. A quick and on-demand way to increase professional knowledge. Has provided my coworkers and I an easy way to expand knowledge base. The most use has been new employees, getting up to speed on the latest and greatest trends quickly. "Learning more with LinkedIn Learning"
What I like best about LinkedIn Learning is its' accessibility and ease in teaching material. There are so many different tutorials available to me that give me a broad range of topics so I can learn about many different software systems from the ease of my home. What I dislike about LinkedIn Learning is that I do not always know which type of tutorials they have available. It is hard for me to find different tutorials within the LinkedIn system. I did not even know this was a feature of the platform until years after I had become a LinkedIn user. I am using LinkedIn Learning as a student to help better understand different systems and how to be a more complete applicant to employers. I have realized the benefit through better understanding the qualifications needed for different jobs I have applied to and different vocabulary used by business-minded people. "Linkedin Learning - the New At Home Business Coach for All Education Needs"
I liked that not only do they have lessons on just about any subject, but they use real professionals to train you. You also have small chapter quizzes and end of lesson tests to make sure you understand and are following along. the only thing that I didn't like was how expensive it is. It was costing me $60 a month to be a premier member and then LinkedIn learning is free, but it is not free if your not a premium user. $60 a month for e-learning is very steep. If you are looking to improve any business skills what-so-ever, then this is the platform for you! I have even looked up very difficult instructions for adobe photoshop which is a very difficult graphic program and it told me how to do it within minutes. I have used this for Public Relations, Marketing, social media engagement and several other business classes to help me improve my business knowledge and ethics. "Gain the skills you need to be successful in any role!" Learning modules are incredibly comprehensive and there is a wide range of skills to dig deeper into as a novice or seasoned professional. You do not get a formal degree or certification in completing a course, but you do expand on the knowledge gained from the content provided. This is certainly worth it if you're trying to build new skills or deepen existing skill sets. The minimal cost (monthly fee or annual membership) is worth the investment. You gain the knowledge necessary to be successful in your current job or apply new skills that will benefit you in future job searches. I would consider looking at other MOOCs (like Coursera) if you desire a formal certificate that states you've completed a certain course. If not, LinkedIn Learning is the right platform to expose yourself to new styles of learning, software or subject areas that will support your work streams. Consider applying your professional development stipend towards this service, it will benefit both the individual (you) and the organization you work for once you gain new skills! 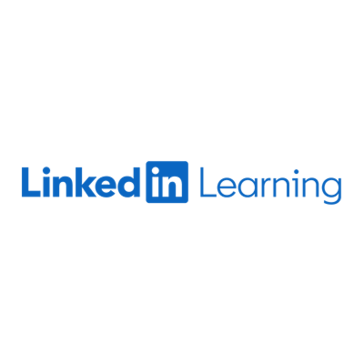 If you need to quickly improve a skill or knowledge of a software package, then yeah, Linkedin Learning (www.lynda.com) will serve as an excellent introduction. If you are doing this as part of portfolio development, you still need to design and execute a project on your own. "Great for learning design softwares"
The quality of the videos is great. Instructions are clear, and instructors seem very knowledgeable in their fields. I also like that they provide practice files, so you can open them up and follow along. Some of the videos could be a little dull and boring to watch. They are highly scripted and some instructors are more engaging than others. But videos are short and you can skip the ones you don't want to watch. I highly recommend Lynda.com if you are learning design software such as Adobe Photoshop, Illustrator, InDesign, AfterEffects, and Sketch. There are also great design foundation classes and documentaries to watch. Keeping my design software skills up to date. It's great for learning specific software, and there is always something to learn whether you are a beginner, intermediate, or an advanced user of the software. The variety of topics to learn is seemingly endless. I'm currently learning more about SEO, and have courses lined up already to learn about video editing, as well as HR and recruiting. I dislike not being able to view the videos offline while I'm commuting (I take the subway 40 mins./day each way). I appreciate the fact I can view off of wifi, but I'd like to be able to download content/videos to my phone so I can utilize my time better and learn something. Learning more about niche recruiting and other HR related stuff. Personally I enjoy being able to learn more about other areas of business I have an interest in but didn't know where to start. "Lynda.com has improved my skills for my job and personal interests"
I use Lynda.com to learn new skills and to keep up with how to use new features when the software I use updates. I have taught myself web design; WordPress and greatly improved my skills with Adobe. We recently moved to Office 365 and Sharepoint. I was able to take the admin courses to set up and manage accounts. If I need a refresher on a feature, I log in and rewatch only the steps I need to complete a task. Sometimes it is hard to do a search to find the right class for what I am trying to accomplish. Or sometimes in a search you get older products or a course that just mentions the one you wanted info on but it isn't a course on the subject search. If you want to improve your skills, whether for your job or personally and do it at your own pace, Lynda.com is a great way to do so. You can earn certification and with a premium account download practice files to follow along. I can perform many roles at work by watching the courses such as WordPress and Adobe that we would have had to hire a third-party to complete. I read a lot of articles for improving all aspects of my job. "Great way to learn new, usable skills"
I love that there are so many different skills to learn. Not just software but also things like photography, DSLRs, videography. I was able to strengthen my photography skills considerably using Lynda courses. I don't like that you now have to have a LinkedIn account to access Lynda videos. It is not as accessible any more. If you are concerned about the price, you can look through all their offerings and decide which courses you want to take before you commit to purchasing the subscription. You can watch previews of the courses beforehand and get an idea of the time commitment you will need before starting. I was able to improve my photography skills considerably using Lynda courses. I was also able to improve my understanding and use of Photoshop and Lightroom. Lynda courses were invaluable to me when I was starting out with digital photography. This tool allows you to hire courses at all levels, advanced, medium and specialized, with a high technical level, their mentors have experience and provide excellent support in the development of the course. For us, we implied a tool that allowed to deliver pre-loaded courses, gaining time, in other occasions we only hired the execution of the course, in this way we obtained an extra time for the activities of the department. Siemrpe must have a preparation for the access of these courses, there is a great capacity to take advantage of this whenever they are planned correctly, the groups must be motivated before starting the course, not all users are happy with this type of learning. The development of the people my clients I see benefit because could recommend them to see some course, this allows me to take advantage of the time that I dedicate for this in other activities. * We monitor all LinkedIn Learning reviews to prevent fraudulent reviews and keep review quality high. We do not post reviews by company employees or direct competitors. Validated reviews require the user to submit a screenshot of the product containing their user ID, in order to verify a user is an actual user of the product. Hi there! Are you looking to implement a solution like LinkedIn Learning?